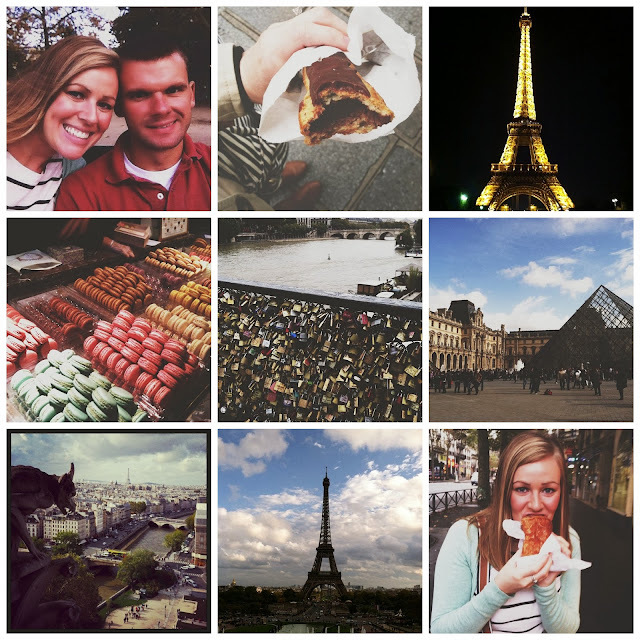 We are home from Paris! We had an amazing time and are so thankful for all that we saw + did! It is always nice to be home though:) Above are a few instagram shots until I can weed through the 500+ pictures I took. I hope to have a few Paris recap posts up next week. Happy Monday! I thought about you so much while you were gone I can't wait to hear more about it and see your pictures!!! Can't to see and hear more about your amazing trip Sherri! I've been seeing your photos on IG and they are gorgeous! I'm excited to see what else you did on your trip. Yay! Can't wait to hear and see more about your trip!!! How was your French?? Oh I can't wait those posts!! I've been dying to see everything you did on the trip! Oh my gosh I loved following your trip on IG....I can't wait to read all about your trip sweet friend! I can't wait to see all your pictures! I would check Instagram frequently for updates while you were there. And, I loved all the quotes you used on your pictures. So glad you had a fantastic time!! !